Like button on Facebook is a viral thing and everybody wants their status update liked. Everybody has their own set of reasons why they want their status update liked i.e. I always want my status liked because i want to envy my friends and show them that i am in the race. I mean i have many people in my friend list who gets a bunch of likes in fraction of seconds they post their status, and i am left wondering what the heck is the problem with my status update! Since then i decided to learn the Science behind “Getting more likes”, after using the technique personally, likes on my status update have rise considerably. I am sure that after following the guidelines mention in this post and the upcoming post, likes on your status update will also rise. First and foremost thing you want to do is to increase the exposure of your status update among your friends. We all assume that Facebook is showing our status update to all our friends, but that is not true. To any user whether it is me, you or your friend, it shows only limited number of status update to us. I mean to say if you have some 300 friends in your friend list then Facebook will show you update of some 50-60 people (Approx.) in your status feed i.e. If you post a status update then it gets visible to a limited number of your friends, and from that limited exposure you are getting the likes and comments. Now imagine, if your status update is made visible to all of your friends- say from 20 percent visibility I make it to 100 percent(from few friends to all the friends), then do you think there is chance of getting more likes? Because there is every chance and possibility that at least one friend from that left 80 percent will like or comment on your status update. How to increase your Presence? Facebook feed works on an algorithm called “EdgeRank”. It says that i will show you the status updates/feeds of people with whom you interact the most. Decoding it the other way, it tells you, that if you want your status update visible among all your friends, then they all should be interacting with you. How to make your friends interact with you? Start liking and commenting the status updates of those friends with whom you have never interacted before. Open up the profiles of friends you have hardly interacted and create your presence. This way you will invite your left out friends to interact and create the possibility of getting more likes and comments on your status update. 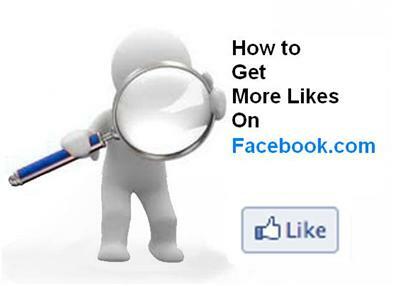 Part-2: How to get more likes on Facebook.com, coming up in a short time.